Today is the world release of Virunga. Do everything you can to watch this powerful film. You can watch a trailer here. I went to see Virunga at a special London screening earlier this week, expecting a film about Virunga’s park rangers’ challenging task of caring for the mountain gorillas, in the harsh realities of life in the Congo. 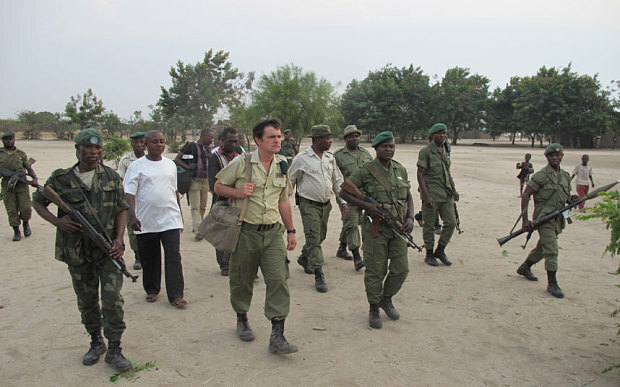 The park rangers’ efforts to protect Virunga have made them plenty of enemies (Virunga’s Director, the inspiring Emmaunel de Merode who opposed Soco’s actions in the park, was shot and badly wounded in April 2014): various rebel groups still inhabiting the park; the poachers who have killed thousands of its elephants and hippopotamuses; and those who cut down its forests for charcoal. And then there is Soco International that has a licence for oil exploration in a big chunk of Virunga. I will write more about the controversy around Soco’s explorations in Virunga (UNESCO World Heritage site) in a separate post. Now I would just like to encourage you to watch this moving story of bravery and dedication, and take action to help protect this heritage site. Verunga’s producers are asking to spread the word about the park and the film. This is how you can get involved. You can also add your name to the WWF’s campaign to Draw the Line campaign for oil companies to stay out of Virunga and for the DRC government to cancel all permits. This entry was posted in Uncategorized and tagged #Virunga, #virungamovie, natural resources, sustainable development, wildlife populations. Bookmark the permalink.